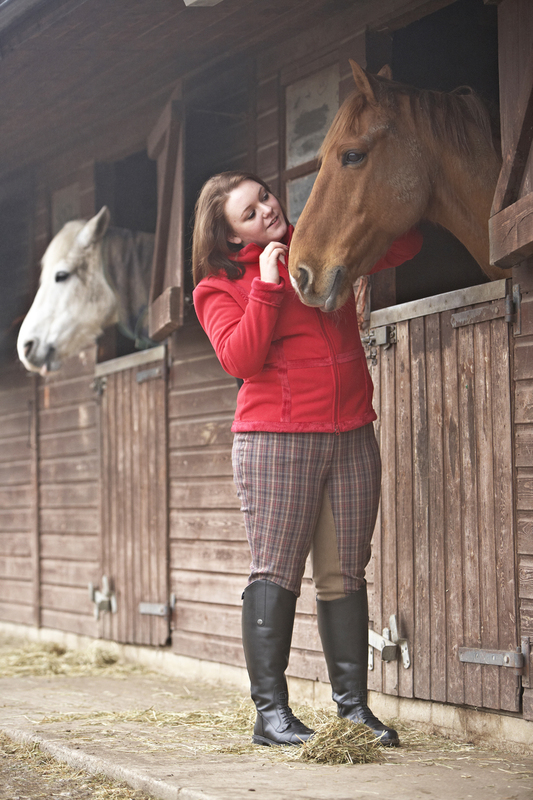 Are you a company that offers Plus Size clothing and boots for riders? I’ve had several requests to do a series on clothing and boots for plus size riders. If you carry riding and working attire in plus sizes, give me a shout! I’m looking to interview companies that carry english or western options as our readers come from all disciplines. Each vendor that participates in the blog series will be featured in an individual post that talks about their company and the products they have to offer. The post will include a full interview, pictures of the items you have to offer, and two profile pics. 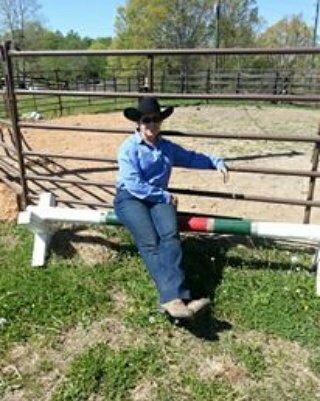 The post will be shared on the Cowgirls With Curves facebook page, and Twitter page, as well as my author pages on social media. If you have clothers for actually working in the barn, that’s a bigger plus – no pun intended! Drop me an email at qheventer (at) yahoo dot com to get started. 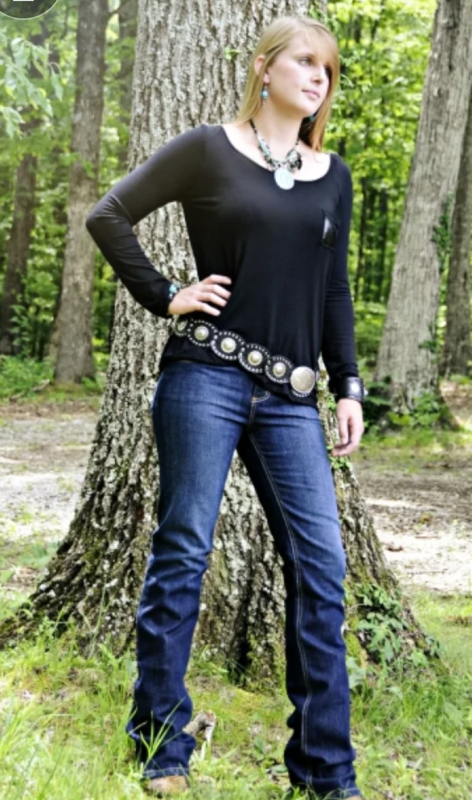 A couple of weeks ago, Suzanne Wild, or “Suz” as I know her, contacted me about becoming a Brand Ambassador for her clothing company, Fuller Fillies in the UK. As I ride both english and western (and have a new eventing prospect!) and they specialize in Plus Size clothing, it seemed like the perfect fit – pun intended! What I didn’t know until after reading her interview, is that she’s a woman with an indomitable spirit that just won’t quit even in the face of obstacles such as breast cancer. I think you’ll enjoy her interview and I think you’ll be captivated by her fun personality. I’m excited about her passion in designing plus size riding clothes that fit and I’m excited to see what the future holds. By the way, she would like to start a western line! ‘Suz & Coco resting’- After a 6am ride (before the sun got up) Coco and me had a ‘moment’. 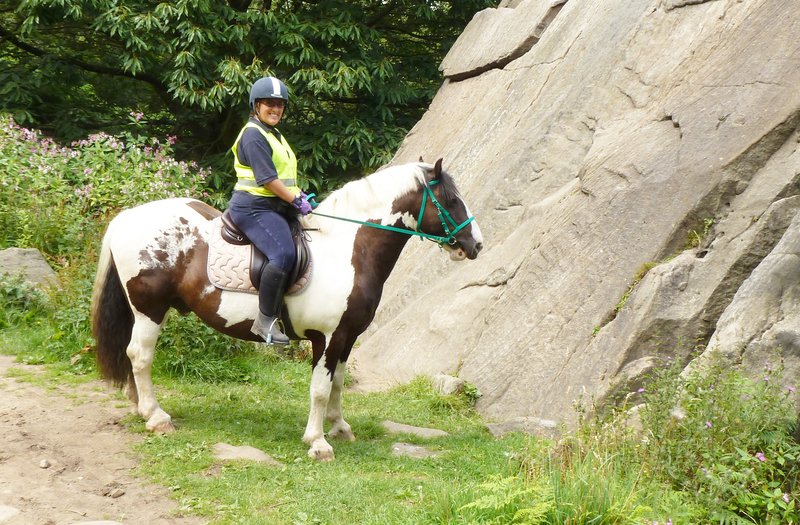 ‘Suz & Alfie Ilkley’ -Me and Alfie enjoying the gorgeous Yorkshire Countryside…he’s trying to work out if he can climb that rock! What was your life like before you started Fuller Fillies? I have a varied work background; I studied Fashion at degree level in the 80’s then worked in Bridal Design. I was offered a job with British Telecom that was too much money to ignore and so went there and recorded all their Weather & Travel dial-ups for two years. This led me into a role in Public Relations and then into Recruiting for PR Companies and Design & Advertising Agencies – I made a LOT of money and saw that I could earn more if I understood about personality types and so I trained with the UK’s leading Psychometric Company. Many years later they poached me, as my own profile had been perfect for them and so I re-trained, this time as a Trainer in Psychometrics. I LOVED that job as I went into a different business every day and made recommendations on who to promote, who to employ…and who to sack! Fuller Fillies came out of the blue really, and on the back of another business we had – but ten years on, I wake up with nightmares that I have to work for someone else! 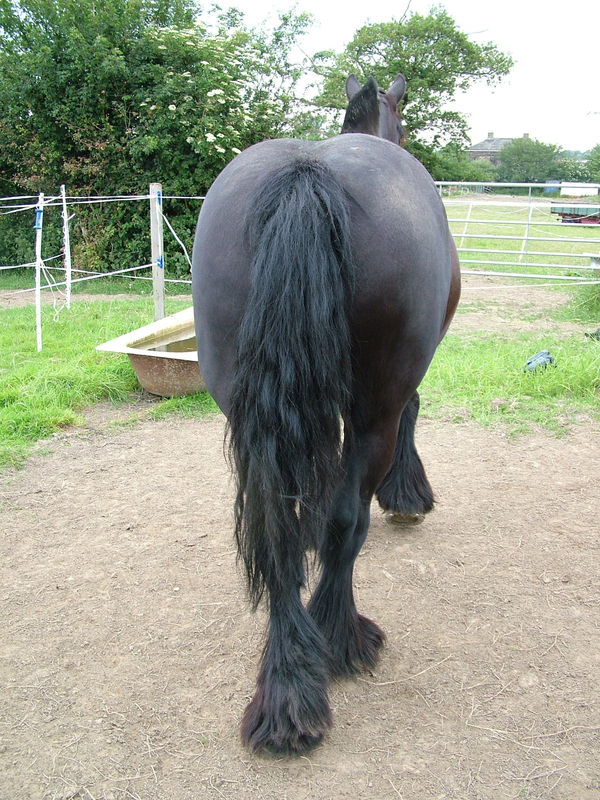 ‘Coco Bum’ – this picture is responsible for the Fuller Fillies Logo – and you can see why! 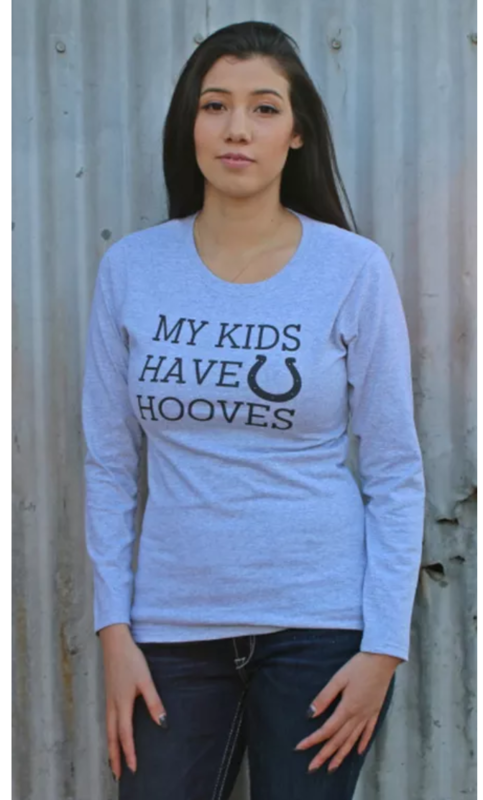 Do you own or have horses? Indeed I do! Alfie is a coloured Clydesdale cross (what you would call ‘paint’) and is 16 years old. Coco is a shire cross and the same age – we’ve had both for 13 years so they are like our children (big hairy, smelly ones!) We don’t compete, mainly because I think it is extremely ‘fixed’ and I would end up arguing with judges (did I mention I’m a control freak?). We have them for pleasure and love to explore the countryside with them. 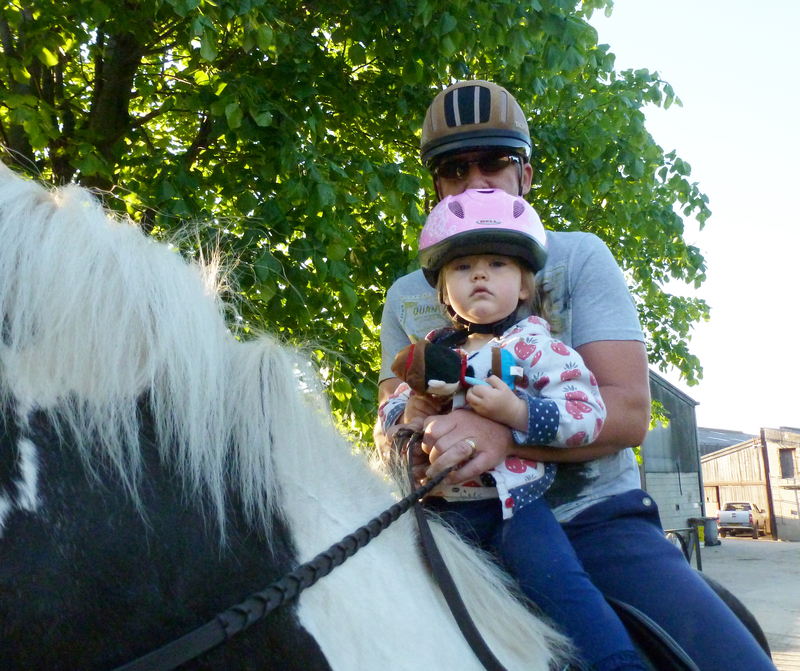 Our adopted grandchildren also like to ride them, although at 5 and 3 they do look a little like a pea on a drum! Fuller Fillies is an Equestrian Brand that designs and manufactures exclusively for Lady plus-sized riders. Our sizes start at UK 16 – which is a US 14- and now goes up to a UK 26 (US 24). In a nutshell we make everything you need from top-to-toe! We make Breeches, Jodhpurs and Riding Tights, Show Jackets, every day jackets, shirts, gloves, Boots and Half-Chaps as well as accessories like Belts and Ties. Because we only make for plus-sizes, our clothing fits well and flatters! Reuben –This is my Cousin’s daughter wearing our CheckMates and now discontinued Reuben Fleece. My family have the right genes to provide models…. How did Fuller Fillies get started, and what inspired you to start the company? From day one, all I heard was “can you get this in a bigger size?” As a UK size 22 at the time, I knew there was precious little on the market and so began to research the worldwide market. Eighteen months later Fuller Fillies was born! It was a good move, as I cannot think of anything else I could have done that would have made sense of my career to that point! What do you think makes Fuller Fillies unique from other companies, and what do you think are the company’s strong points? 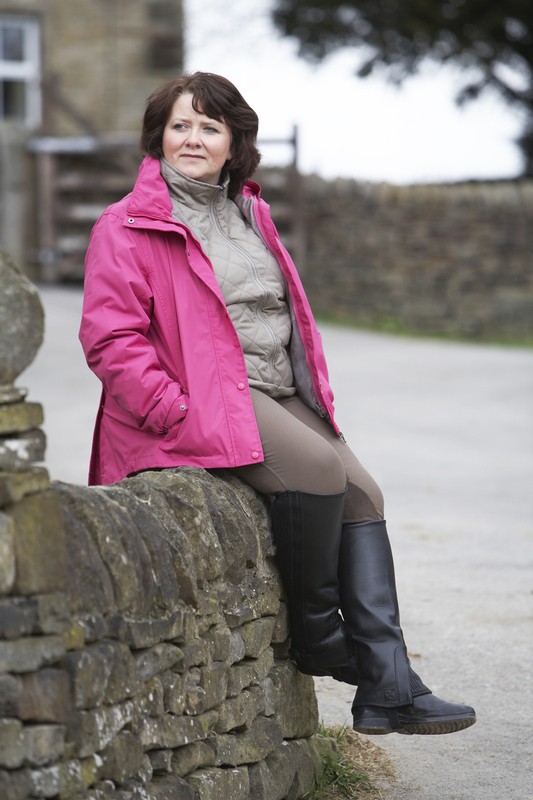 Firstly, there are no other brands that concentrate wholly on plus-sizes in either Equestrian or Country Wear markets. Most will make their standard sizes a little bigger, that really does not work, and results in the ridiculously shaped garments we see on the market. Secondly, what I hear makes us unique is the instant access the consumer has to me! I hear this all the time – it is rare to find a Brand where you can speak to the Designer of the Collection. From day one, I was adamant that the consumer would be part of my design team and would be consulted at every stage – and that is exactly what happens! I think our main strength is that we know and understand who our customer is and so we can design for them without fear of being led down a fashion-conscious blind alley. Musketeer -My Sister Joanne wearing the Musketeer Jacket and ShowPro Breeches with Huggy Half Chaps. What have been some of the struggles that you have had as a business? How did you work through those? Well, there have been several major hiccups that should have seen us finished – but I’m proud to say we weathered the storm and are still here! Even before we launched we had a huge upset. We had partnered with the UK’s biggest Distributor to sell our Collection to the Trade (we didn’t sell direct until a few years ago). On the basis they would take half of everything we made, we put 12 lines into production…they subsequently went into receivership and we were left trying to find finance to the tune of £100,000! Luckily, Chris’s experience working with the banks put us in good stead and we marched onwards. Our second major hiccup concerned our relationship with a US equestrian retailer giant; Due to the sheer volume of clothing we needed to carry ‘just in case they wanted it’ we had much of our stock in a Bonded Warehouse (this way we didn’t have to pay VAT and neither did the giant and eventually, the customer). The large retailer decided they would handle their own shipping and so dealt with the Bonded Warehouse directly – and ran up some huge invoices that the warehouse incorrectly assigned to us. When we refused to pay it, they froze all of our stock and the only way we could get it back was to pay US retailer’s invoices or go to court. We did the latter but settled before the court date – that cost us almost £30 000 and we had nothing to show for it. Needless to say, we moved our stock! Then in 2014, I was diagnosed with Breast Cancer. 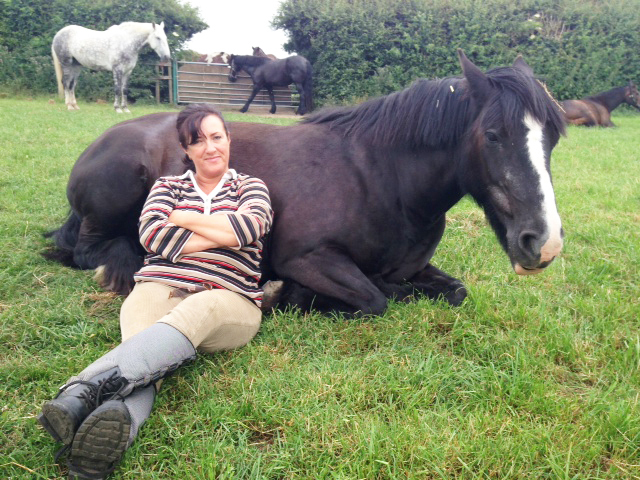 Whilst I thought I would be able to work through the treatment, it became evident that was not going to work – 2014 was my year of temporary retirement! When I came back to work in January 2015 the business was about three months away from closure as no new lines had been designed, no advertising or promotion had been done…then one week later we were burgled and 80% of our stocks were taken! In a way however, it was the best thing that could have happened because it allowed us to essentially start over. My chemo-fuddled brain really had to work hard to come up with new designs quickly but again, that worked well for me – I have never been one to feel sorry for myself! I now have an assistant Sarah, who I involve in as much as is physically possible – after all, I’m 52 and it would be nice to retire properly one day. Since Fuller Fillies is located in the UK, are there any difficulties in shipping to the US? What is the average shipping time? Can you provide rush delivery? How long does that normally take? Any order received across Friday and the weekend is processed on Monday so worse case scenario is a three-day wait. Our website will tell you if something is on back order (this is when we allow customers to order as the new stock is en-route) and of course, these are dispatched as soon as they come in. Make sure you check the fitting guide! What is your return policy? What is the craziest reason you’ve had someone return an item they purchased? Any good stories? We have stringent laws in the UK appertaining to purchases made online; the customer must notify us in writing if they wish to reject the products (for whatever reason) within 14 days of receipt. They then have another 14 days to get the item back to us (at their cost). Although we don’t have to offer this outside of the UK, we do however; the cost of getting product back to us usually means that ladies simply re-sell the item on a Facebook group like ‘Fuller Fillies pre-loved’ or ‘English Plus-Sized Rider’. We are working to find a partner in the US to whom returns could be made cheaper; they would inspect the goods and advise…however; it isn’t always that simple. We have found that quite a few customers will claim that a product is faulty because it doesn’t fit them (I think because, if it is faulty then the cost of return is ours to bear)! Truly, 99.9% of the time it transpires they didn’t consult our fitting guide on the home page. Whenever the guide is consulted and we are happy to clarify anything that isn’t clear- it results in a perfect fitting garment and a happy customer. I know this to be the case and will stand by that absolutely! What are future goals for Fuller Fillies? We scaled down our sales to the Trade when the recession hit as stores stopped buying for stock and began to order the odd thing here and there for a customer who wanted them. We are now in a position to go back to the Trade and get it built up again. We can now offer discounts for bulkier orders (10 or more of an item) and have found that selling to the consumer has been the best advert for the Trade Stockist as ladies are going into their local store and asking them to stock us. I would eventually like to develop a Western Range for the US and Canada because larger ‘Cowgals’ need clothing too! In addition, the US is a lot more welcoming on the topic of larger riders than the UK – I’m sure it’s something to do with great hulking Cowboys riding tiny little ‘saddlebred’ ponies. Is there anything that we don’t know about Fuller Fillies that we don’t know? One example, if you create an account on our website BEFORE you shop, the website will not only adjust the shipping as you add to the basket AND let you shop in $USD (or $Canadian), but it will also take 20% off the sale price which is in respect of the UK VAT. 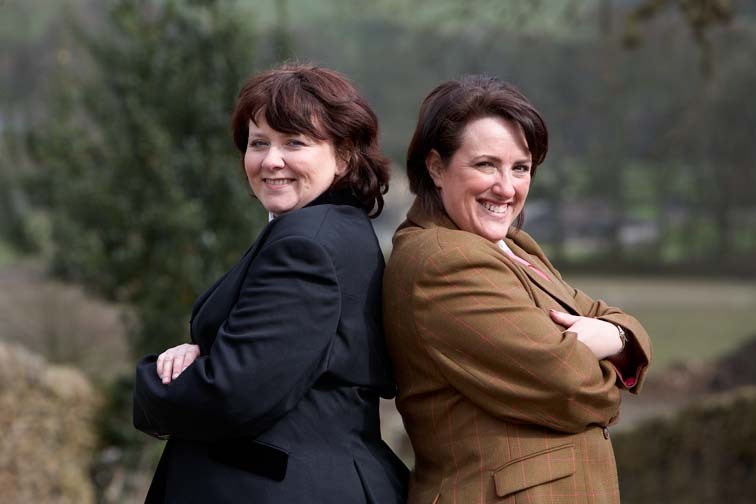 Jo & Suz – an informal shot taken after the other model didn’t turn up so I stepped in. Get to know our website; every scrap of information you need to know is on there! We are currently having it overhauled so very soon it will be even easier to find the info you want. In the meantime, if you don’t find the answers you need to order is absolute confidence then PLEASE use the ‘Contact’ function at the top and bottom of every page to send us a question! We’ll answer it with way more information (of the correct variety) than anyone on Facebook (unless it’s us!) Facebook is great but; nobody is interested in reading/listening – they are all about their own opinions…so before you take someone’s word ask them what experience they have of buying from us directly – what did they buy – and when? You’ll be amazed how often the answers are, “Oh I haven’t ever made a purchase,” “Nothing’, and “Never”.